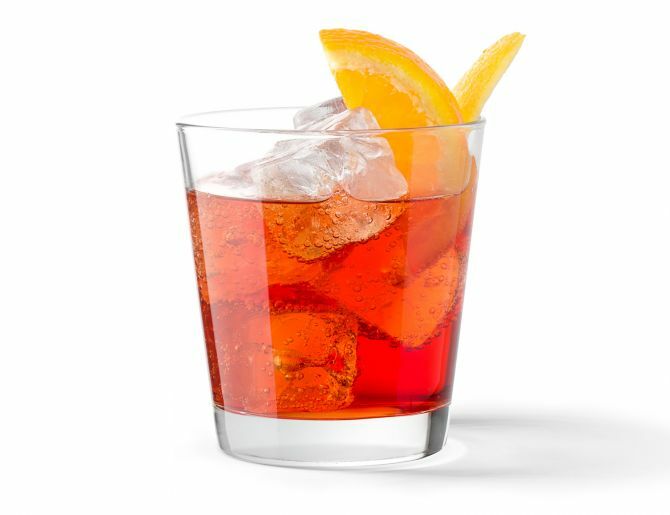 HOW TO MAKE A AMERICANOThe Americano, an Italian classic, was first served in Gaspare Campari's bar, Caffè Campari, in the 1860s.INGREDIENTS IN THE AMERICANO:1 oz Campari1 oz Sweet vermouth2 oz SodaAMERICANO DIRECTIONS:Combine all ingredients in a rocks glassAdd ice.Garnish with orange wedge and enjoy. On Thanksgiving, food gets the lion’s share of attention, with the cooks of the house working on menus long in advance. But do you have your game plan set for cocktails?This is what we’re making this year: Apple Cider Spritzer. And here’s why. Because making individual cocktails after fussing over a billion side dishes doesn’t sound fun, we wanted something we could make in one swoop—a big batch cocktail. But because family gatherings call for something that’s alcoholic, but not too much so, we wanted something on the lighter side. Remember: Thanksgiving is a marathon, not a sprint. The first drink out of the gates needs to be fresh and bright—something that leaves room for more (a lot more). The bulk of this cocktail is made with comparatively low-alcohol sparkling wine—so we can start with this and still have room for wine with dinner.And finally, we wanted something that fit with the season, and fresh apple cider (the non-alcoholic, non-sparkling kind) fills that role nicely. Bonus: if you have any teetotallers or underage guests coming, you can serve straight apple cider with a splash of sparkling water. Apple Cider SpritzerServes 81 bottle chilled sparkling wine (Cava or Prosecco make good choices)2 cups fresh apple cider½ cup Pierre Ferrand Dry Orange Curaçao (substitute Grand Marnier for a sweeter twist, or Cognac for a more boozy riff)2 apples, cored and cubedAdd all the ingredients to a large pitcher and stir. If you are serving immediately, add ice to the pitcher. If you plan to serve over an extended period of time, add ice to each cup upon service, then pour the sangria over the ice. 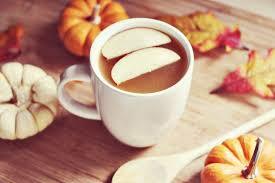 Use a long wooden spoon to make sure each glass gets a few apple cubes for garnish. All too fast the summer is gone, along with the fresh berries, veggies and fruit that grew freely in the summer sun. 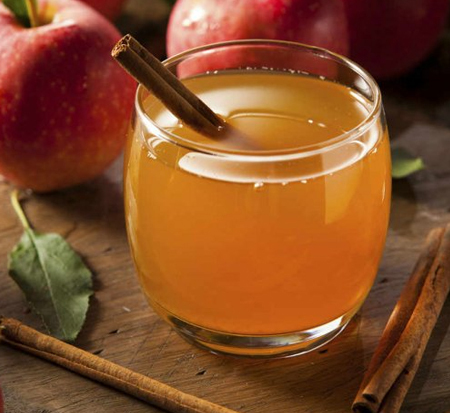 Try sipping this ode to the last few apples clinging to the tree.1 oz brandy½ oz Grand MarnierHot apple ciderGarnish:Red apple slice dipped in honey and coated with brown sugar and a cinnamon stick1. 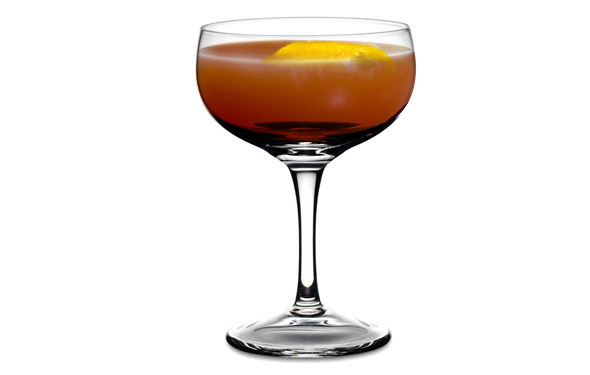 To a heatproof glass, add 1 oz brandy, ½ oz Grand Marnier and top with hot apple cider. Dip a red apple slice in honey and coat with brown sugar to garnish. 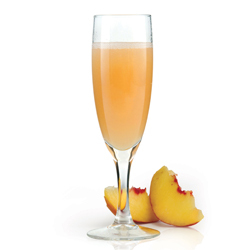 HOW TO MAKE A BELLINIThis famous Prosecco-based cocktail was invented by Giuseppe Cipriani at Harry's Bar in Venice, ItalyINGREDIENTS IN THE BELLINI:2 oz White Peach Purée4	oz ProseccoBELLINI DIRECTIONS:Combine ingredients in a champagne fluteEnjoy. HOW TO MAKE A BLOOD AND SANDThis violently named Scotch cocktail was actually named after Rudolph Valentino's 1922 bullfighter film Blood and Sand.INGREDIENTS IN THE BLOOD AND SAND:1	oz Scotch3/4 oz Cherry heering3/4 oz Sweet vermouth3/4 oz	Orange juice¼ oz Lemon (Classically, not an ingredient)BLOOD AND SAND DIRECTIONS:Combine all ingredients in shaker tin.Add ice to small shaker tin.Shake vigorously, until tin is frosted over.Strain into chilled rocks glass with fresh ice.Garnish with a burnt orange twist and enjoy.